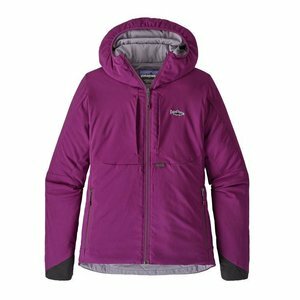 Patagonia Women's Tough Puff Hoody, Designed for cold-weather fishing! Covers all the important bases: warmth, breathability and freedom of movement. 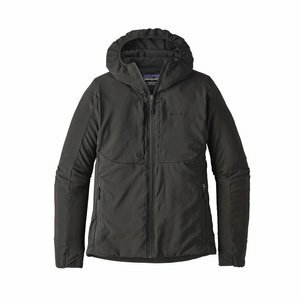 Patagonia Women's Tough Puff Hoody, Designed for cold-weather fishing! Covers all the important bases: warmth, breathability and freedom of movement. Durable enough to push through tangled cover on the way to the water, it features a strong, stretchy and abrasion-resistant face fabric that moves with your body and, thanks to a DWR (durable water repellent) coating, shakes off moisture or passing showers. 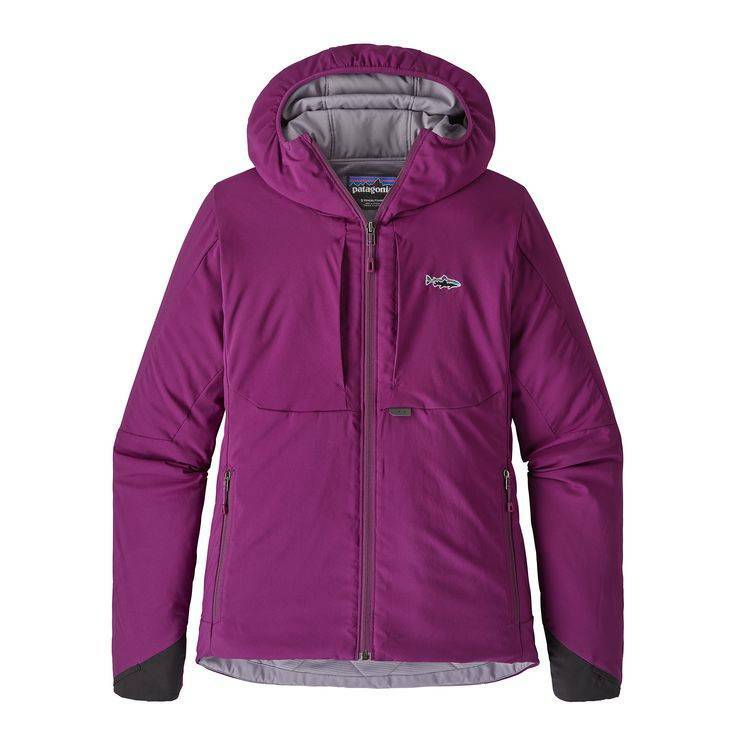 With a contoured, female-specific fit, the Tough Puff keeps you warm with ultralight, highly breathable 60-g FullRange® polyester stretch insulation that lets you swing flies all day in comfort—whether you’re wearing it on its own or as a midlayer under a wading jacket in wetter conditions. The streamlined wrist cuffs have a simple elastic opening and the interior arms have the same water-resisting DWR finish as the outside—meaning you’ll get the least water uptake possible from willfully dunking your arms up to the elbows in the river. 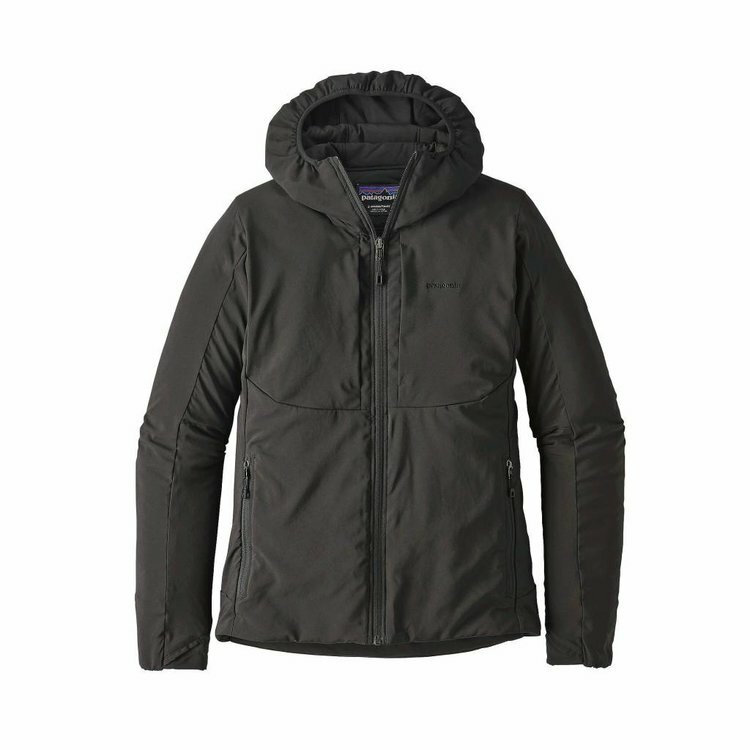 Two large, vertical fly-box pockets on the front chest, two zip-closure handwarmer pockets, and a moisture-wicking, 100% recycled polyester Capilene® interior lining round out the technical package. Black color. From our home on the banks of the Madison in Ennis, Montana, the Madison River Fishing Company has been in the business of providing fine fly fishing gear and guide services to anglers worldwide since 1984.